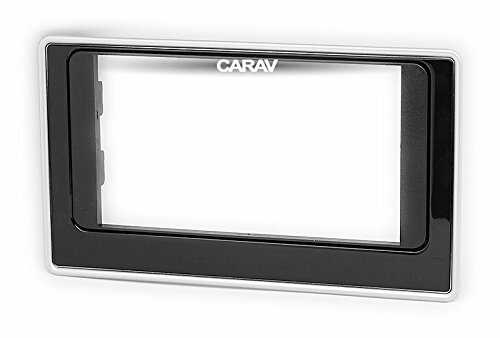 Double Din In Dash Car Stereo Installation Kit Car Radio Stereo CD Player Dash Install Kit Compatible TOYOTA Corolla 2017+ with 17398mm/173100mm/202102mm by CARAV at Atoz Car Rental. MPN: CARAV 11-696. Hurry! Limited time offer. Offer valid only while supplies last. Product Description: 1. 3D digitally designed Factory-style texture 2. Constructed of high quality, high heat, automotive grade ABS plastic 3.